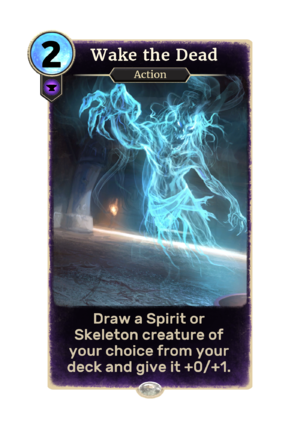 Draw a Spirit or Skeleton creature of your choice from your deck and give it +0/+1. Wake the Dead is a common Endurance action card. It is part of the Isle of Madness story set. This page was last modified on 17 March 2019, at 04:31.